Let's talk about favorite flavors today. Do you love seeing "experimental" flavors from your favorite brands? Do you love trying the new ones and are you sad if you loved it and never saw it again? Or do you sometimes stare at the new flavors and wonder whose weird idea was that? If you answered yes then we so need to talk because I'm giving you a chance to weigh in on all this! Today through March 30, 2015, fans are encouraged to visit http://clvr.li/layscontest to submit their ideas for the next great potato chip flavor. Fans can also enter via Twitter (follow @Lays for details), through the Lay’s Facebook Page or by using their cell phone to text FLAVOR to CHIPS (24477). To submit, fans will be asked to provide their name, flavor name, up to three ingredients, the chip style, the city and state that inspired their submission and a brief description or inspiration story for their flavor. Complete details and official rules are available at http://clvr.li/layscontest. Naturally I have my own opinion on what a great flavor would be and I focused on what flavors represent my home in New York. Yes we're a dairy state and a significant apple producer but are those the flavors I miss most when I travel away? Not really because I can get those things elsewhere. Know what I can't get? A decent bagel. 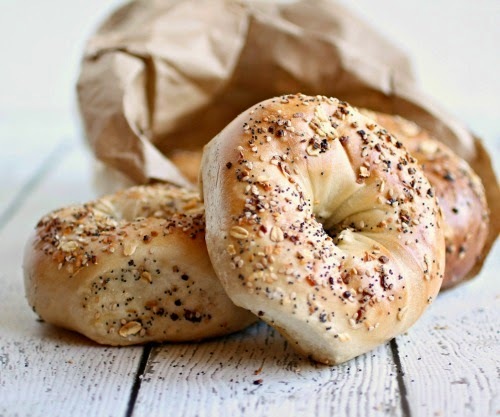 Seriously, people who haven't had the quintessential New York "everything" bagel don't know the treat they're missing. So, Lay's Potato Chip people - I think you should show them. Since I was so excited about my idea, I went ahead and made my own little small test batch to make sure it would be as awesome as I thought. And it totally is. But I'm sure you have your own awesome ideas so go tell the Lay's people about them and maybe you'll win the million dollars. Good luck! Slice the potato thinly on a mandoline. Coat the potato slices in the oil and place on a baking sheet in an even layer. Combine all the seasonings in a small bowl and sprinkle on the potato slices. Bake for 20 - 30 minutes or until the chips are a light golden brown. I get excited about new flavors but the ones lately haven't been appealing. I would totally be all over these though. Everything bagels are my favorite! oooh yum! 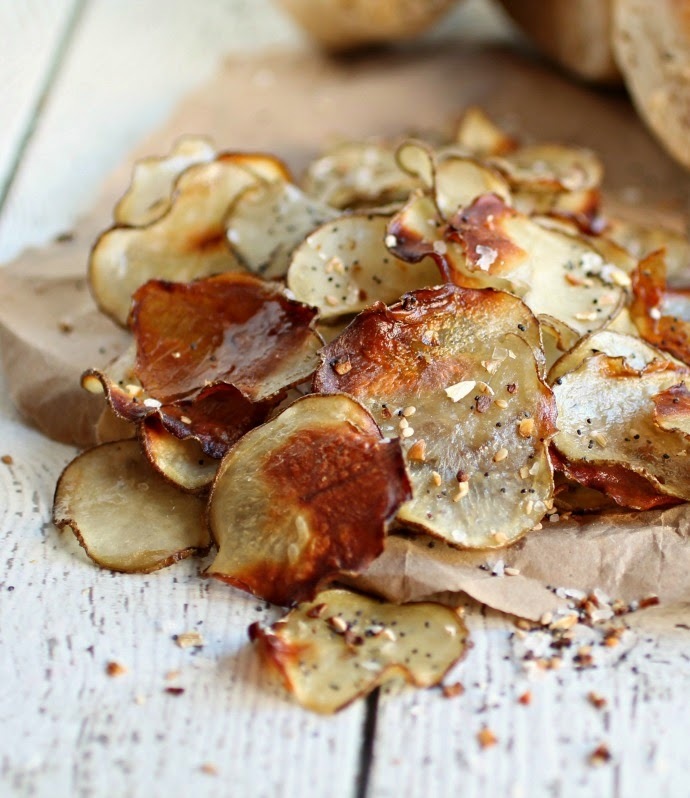 love this idea for potato chips! 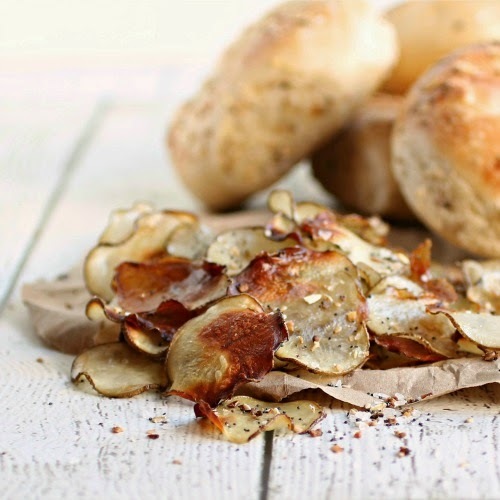 I think you're onto something with these everything bagel chips! How could people not want them?